Winter has arrived and so has the clay season in Egypt, more specifically in Mr. Bob's upstairs clay studio. 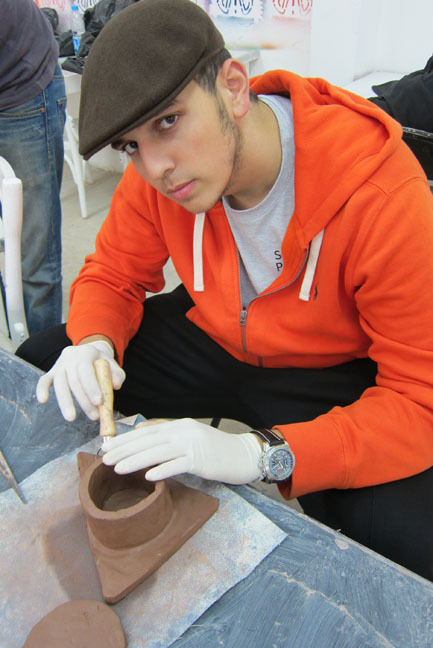 From Dec-Feb all grades from K-12 will be doing handbuilding, wheel throwing, and glazing. He is our progress thus far. next step is to ink the lines.